Pretty Good Solitaire for iPad is 40% off in the iPad AppStore until January 16th. Get it on your iPad at https://itunes.apple.com/app/apple-store/id645018925?pt=349766&ct=spring&mt=8 . For more details about our iPad game, see http://www.goodsol.com/ipad . The iPad game currently contains 600 games, but will soon update to 700 games. 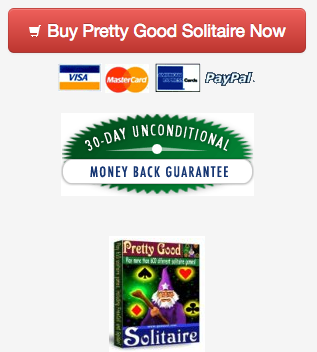 Pretty Good Solitaire for Windows has recently updated to version 16.3 with 930 games. It can be downloaded from http://www.goodsol.com/download.html . This version is recommended for Windows 10. 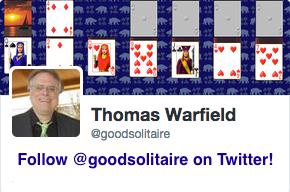 Pretty Good Solitaire for Mac is at version 3.3 with 700 games. See it at http://www.goodsol.com/mac . This version is required for macOS SIerra. This game is at Double Pyramid.